No one's going to claim Africa has all the best beaches in the world, but it has some of them.Here's a small sample of Africa's best beaches. 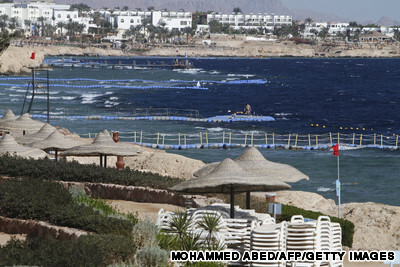 Sharm el-Sheikh has become Egypt’s resort capital for good reason: the warm, crystal waters and wide beaches are great for swimmers and sunbathers and it’s the gateway to some of the best diving in the world, along the reefs of the Red Sea.If you want a day on the beach but not in the sun, Sharm el Maya offers good shade. 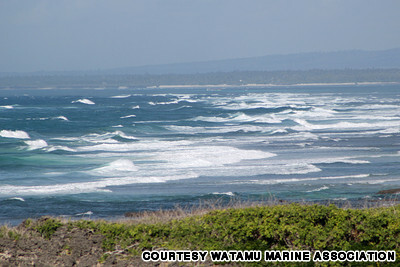 The smooth white beach of Watamu, which slides gently into shallow, turquoise water, forms part of the Malindi Marine Reserve Park, a marine protected area. The snorkeling and diving around the offshore coral formations is said to be the best in East Africa.Watamu is an important breeding ground for green and hawksbill turtles. 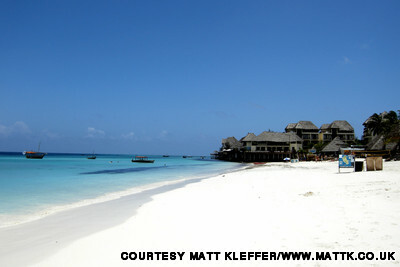 It’s tough to choose the best beaches on this laid-back island, but Nungwi, on the north of the Zanzibar, is one of them.What was once a simple fishing village and dhow-building center has become a popular holiday destination, where palms casually amble onto a beach that dissolves gradually into shades of turquoise.At sunset, white-sailed dhows leave from the boat yard and its always great to have your camera around. 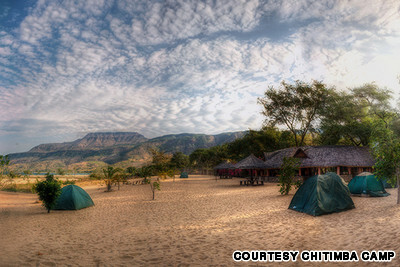 There isn’t much to Chitimba besides a peaceful stretch of inland beach -- the lake the beach borders is one of the biggest in Africa. Wrapped with densely vegetated hills and trees that filter down to the edge of the sand, it’s a quiet piece of freshwater paradise.If you’re feeling energetic, Chitimba Camp's guides can take you walking into the surrounding hills. 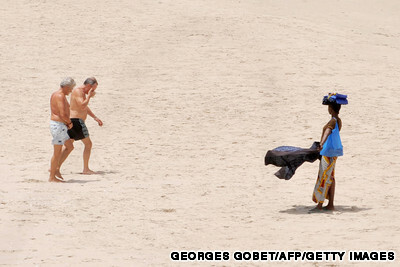 Ichthyologists say there could be up to 1,000 species of fish in Lake Malawi. 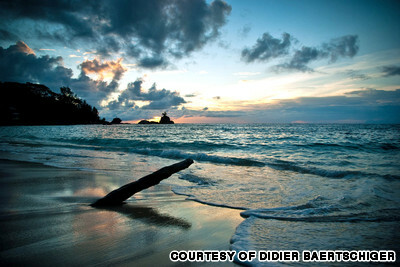 It’s obvious why Anse Source d’Argent has been labeled the world’s most photographed beach. 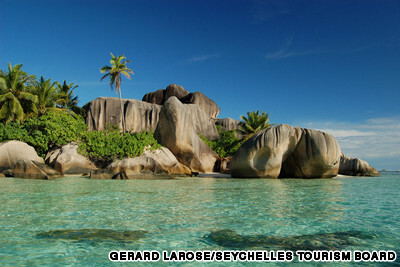 A walking trail, with jungle tumbling down a hill on one side, winds between massive granite boulders to reveal a sandy beach so perfectly white, and with water so exquisitely turquoise, it seems unreal.There are so many pretty beaches on La Digue, which is easily explored by bicycle. Hire one at the port for Rs 100 (US$7.80) for the day. 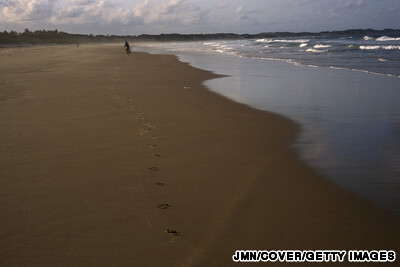 A sandy eight-kilometer stretch of beach with gorgeous, clear water is what you can expect from Tofo in Mozambique.It's perfect for beach-lollers, sand-frolickers and further out to sea, divers and fishermen have good opportunities to express themselves too.If you’re keen on surfing or fly fishing, the quieter beach of Tofino is your best bet. 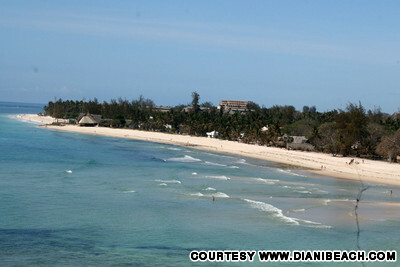 For an idyllic tropical island beach, Bazaruto, the namesake of Bazaruto Archipelago, wins hands-down.The island’s lazy sand beaches stretch forever into clear turquoise water, before dropping off into the Indian Ocean, and palm trees dangle over the beach creating perfect cocktail-sipping shade.Bazaruto Archipelago is renowned for its diving opportunities. 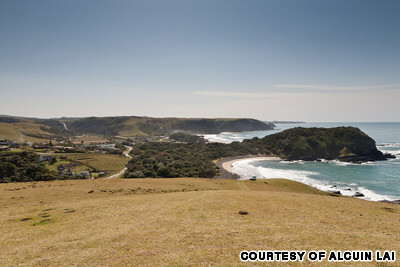 Coffee Bay on South Africa’s Wild Coast is beautifully wild. With cliffs that plummet and green hills that roll into the turbulent waters of the Indian Ocean, this is one moody beach that will take your breath away.Hole In The Wall (eight kilometers up the road from Coffee Bay) is a spectacular rock just out to sea at the mouth of the Mpako River.The best way to see this beautiful stretch of coastline is to walk it. 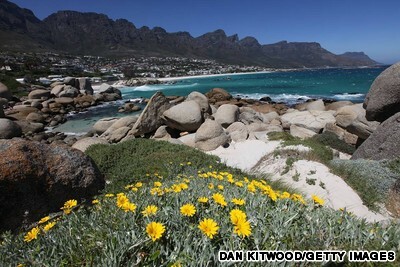 On a summer’s day, you’ll struggle to find a place to lay your towel among all the beautiful bodies lazing about on Camps Bay, probably Cape Town’s most popular beach.The road next to the beach is lined with cafes and bars, themselves filled with young trendies -- pack your best boardies or bikini. The Clifton beaches, next to Camps Bay, offer more privacy among the boulders.Get even further from the crowds at Blouberg beach, where you can capture spectacular sunsets and take postcard photos of Table Mountain across Table Bay. There can be few beaches as hauntingly beautiful as Namibia’s Skeleton Coast.This wide, wild, rugged stretch of beach between the Swakop and Kunene rivers is often shrouded with fog -- the result of the cold air over the Atlantic meeting the warm air of the Namib Desert -- and the beach has become a graveyard for ships that run aground in the shallow, rocky waters. 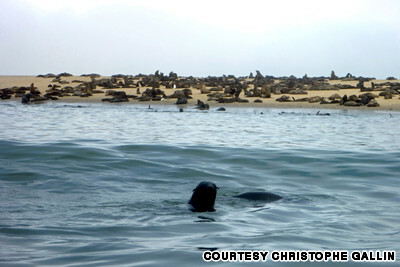 Expect to see lots of seals and marine bird life near the wrecks. What is a beach if it’s not a playground? 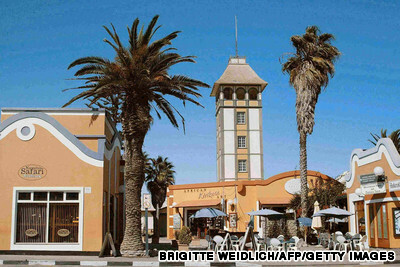 Swakompund in Namibia has reinvented itself as an adventure center, with fishing, surfing, kayaking, quad biking and sand boarding.Swakopmund is often described as being more German than Germany -- so eat at the Bavarian-style restaurant. 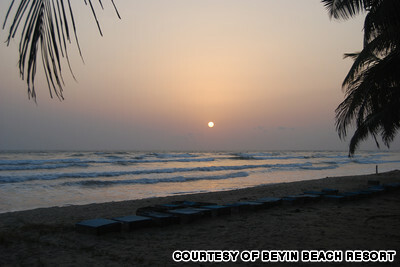 What you’re likely to remember about the beautiful sandy arc of remote Beyin beach are the tall, soaring palms along its edge. 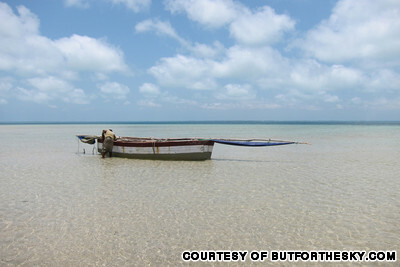 It’s a classic African working beach, and you can expect to watch about 100 men pulling in enormous seine nets filled with fish.The stilted Nzulezo village can be reached by taking a dugout boat from the irrigation canal across the road from the beach. You’ll struggle to find a quieter, more perfect shoreline than Banana Beach on the tiny island of Príncipe, off Africa’s west coast.It boasts clear, shallow waters, forest-fringed edges and, quite likely, not another tourist in sight. Hard to beat the completely laid-back atmosphere of the island, too.Some of the world’s best deep-sea fishing waters are off the coast of Príncipe. A wide bay with a flat beach fringed on one side by unspoilt dune vegetation and on the other, the corduroy waves of the Atlantic Ocean -- Cap Skirring is one of the loveliest beaches of Casamance, which is in turn one of Senegal’s most beautiful regions.There’s not been too much development in terms if tourism here, but a taxi ride to the white beach of Boucotte will get you even further from it all. Keen drummers can be entertained at the nearby villages of Kafountine and Abéné. 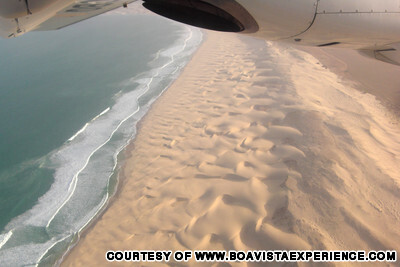 At remote Chaves Beach on Boa Vista, a striking expanse of curvy, wind-carved sand dunes eventually run down into the Atlantic. With its open landscape and soft sand, this desert island is a sunbather’s paradise. 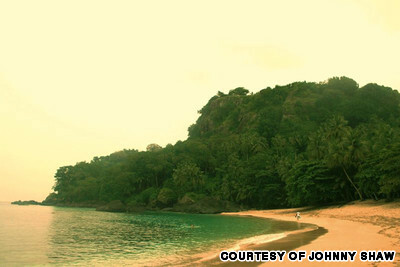 Chaves beach is isolation at its most lovely.Love seafood? Ask one of the local fishermen to catch your favorite. What Are The Best Beaches In Florida?